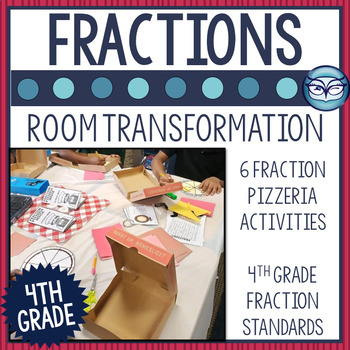 Your students are in for a real treat with this Fraction Pizza Shop Room Transformation and Activities Kit! 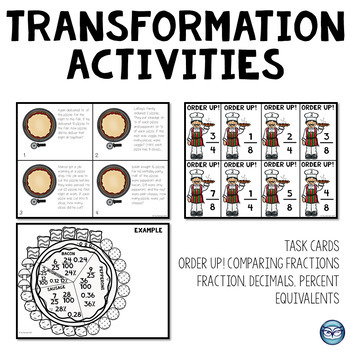 Each of the 6 included activities gives your students plenty of practice with 4th grade fraction standards in a simulation format. this room transformation very easy to pull off. Don’t let the idea of a room transformation intimidate you! 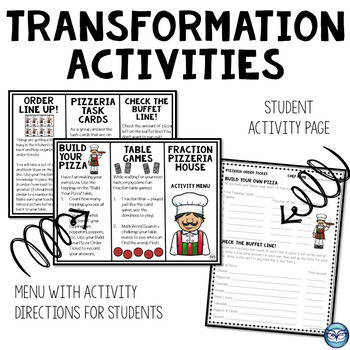 These activities are something that will remain with your students for a long time, give meaningful context to their learning, and allow for full engagement with the learning content. If you’re not up to doing all of these activities in one day, each one can be done separately. So why not? Give it a try! Make sure to follow The Owl Spot for updates on new products, sales, and other great resources for your classroom! Just click the green star above! 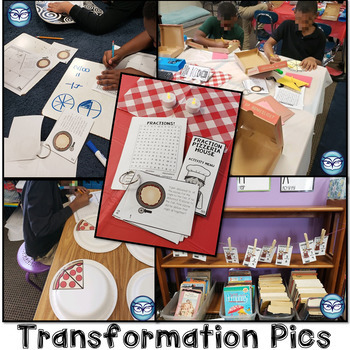 For more great resources, check out these links to products! Happy Teaching from The Owl Spot!